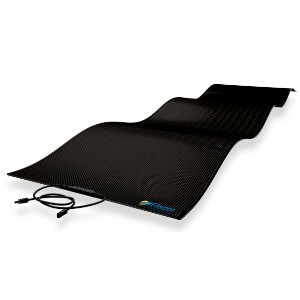 With our brand new fully-flexible solar charging kits, the possibilities are endless! This beautiful, high power density, CIGS, flexible and lightweight solar panel, plus a Victron premium charge controller is ideal for small off-grid installations. In motorhomes, caravans and liveaboard boats, it should be capable of keeping a 12V battery charged with minimal-medium usage (such as LED lights; small 12V TV; water pump; phone/tablet/laptop charging). With the highest power density in a flexible form factor, these Miasole CIGS flexible and lightweight modules are designed for narrowboats, RVs, motorhomes and yachts. Comes with very strong, 'peel-and-stick' adhesive tape for ease of installation. Manufactured to create unusually high energy yields (>16% cell efficiency) due to excellent shadow tolerance and temperature stability, these panels give a good option for low narrowboat decks or hot motorhome roofs. 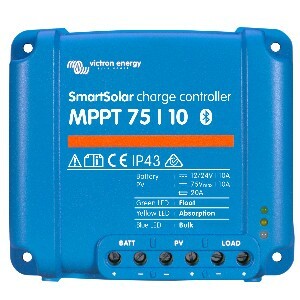 This 10A SmartSolar MPPT charge controller from Victron Energy is capable of providing significantly more power to a battery bank from the solar array, compared to conventional PWM charge controllers, in addition to maximising the battery lifespan. It also has in-built bluetooth technology to connect to your smartphone. 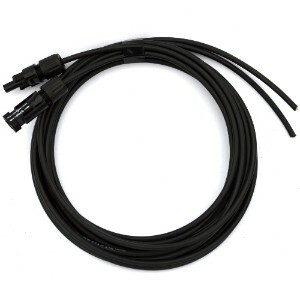 To connect everything up we have provided 3m of solar cable to go between the solar panel and regulator with industry standard MC4 connectors. 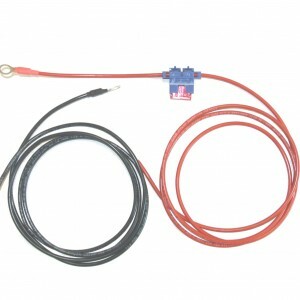 We also supply a regulator harness fused appropriately to connect your regulator to battery bank (1.5m long). MAX solar panel input 75Wp, suitable for 12V battery banks only!